Can This Simple, Purple, Nordic Walking Cross Trainer Offer Great Results? The first thing that most buyers will notice about the TV Unser Original Nordic Walking Cross Trainer is that it is very purple. 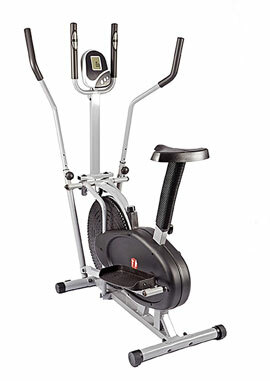 For some this is an immediate plus as it is so much jollier than the usual greys and blacks of exercise equipment; for others, the simplicity of this low impact trainer, with its computer, instruction manual and nothing more, is the key selling point. One of the more interesting sales claims with this product, one that is not often seen with these machines, is that it “increases general well-being” – this is an oddly positive notion but is it reflected in user reviews? 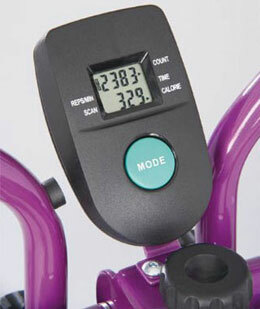 What benefits have users enjoyed with this Nordic Walking Aubergine Cross Trainer? The biggest advantage seen with this product is the fact that it lives up to its promise of being a low impact machine with great health benefits. The design and general simplicity of the Nordic Walking Cross Trainer means that the pace and style of the workout is entirely up to the user, as is the ability to provide tension. Buyers can focus on driving with either their arms or legs, with many saying that it feels as though they are working every muscle, and this has lead to some great results. The motion is nice and gentle, meaning even those with mobility issues can come away feeling as though they have enjoyed advantageous exercise, as though they have achieved a good walk without the usual aches and suffering. This low impact means users are happily working their way up to longer sessions and more noticeable results with confidence, with some even reporting weight loss. As an additional bonus, this TV unser Original machine is easy to use with a good, solid construction – once it has finally been assembled that is. 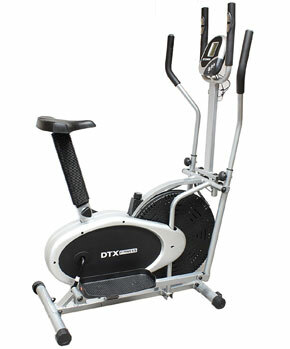 Why is assembly such an issue and what other problems does this Nordic Walking Cross Trainer have? To put it bluntly, the assembly instructions are useless and make the process even more confusing; in some cases the arms were even put on the wrong way around. Elsewhere, there is some dispute over the word foldable because even though shape can be modified for storage, some feel the term is misleading and others say that even if it were possible, it is too heavy to do so. On the plus side, it doesn’t take up much room either way. Other flaws are less problematic: there is not a lot of faith placed in the readout of the computer, especially the calorie counter, but this hasn’t caused too many problems and it has also started to squeak over time that is nothing a little oil cannot fix. Summary: Do these limitations affect the overall appeal of this Nordic Walking TV unser Original Elliptical Cross Trainer? If you can get over the squeaks and the idea of having a purple trainer, and you don’t mind spending a little time deciphering the instruction manual, this Nordic trainer could prove to be a great fitness tool. Some would say it doesn’t quite live up to it promises because of the complaints about it being foldable but there are so many benefits within the finished item for users that want a simple workout because of the low impact, variable use and the addition of the computer. 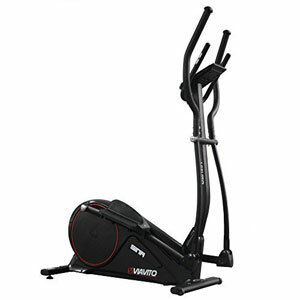 This Nordic elliptical trainer is recommended to anyone that wants to get fitter, especially older users wanting a simple alternative to gym equipment rather than a high-tech replica because, above all, it has proven to be effective. Copyright © 2019 · Best Cross Trainers, All Rights Reserved.